GoPro Forum, Classifieds and Support > Live Demos - Reviews - Tutorials & How To's > Video Reviews > VIDEO REVIEW - GoPro Hero 7 Black Edition! 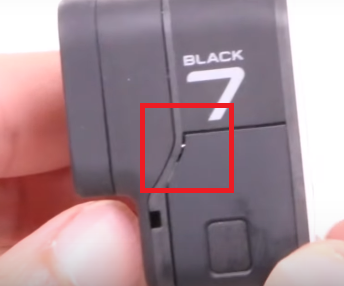 VIDEO REVIEW - GoPro Hero 7 Black Edition! Have you observed the problem with slow panning and maybe you have a solution/workaround. I would upgrade from the 6 in the exception to use the 7 on holidays without my gimbal. For a travel/holiday vid of course there is a need for slow panning to show landscape. For slow panning you need to turn stabilisation off. Theres no other way round it. The camera tries to grab the frame (which is how digital stabilisation works) and when you try to slow pan its creates jerky movement. Its a PITA! Also don't expect Gimbal performance with the Hero 7. When walking etc it was only a slight improvement over the 6. When biking etc it was a nit more of an improvement. Nevertheless, I'd still keep a gimbal over the Hero 7's stabilisation TBH. Waiting for my Feiyu G6 to arrive! Great Job Ifti. Please take a close look at the port door your pin is showing while I am looking at my H5 its solidly closed? Understanding the seal is covering the area. and I think gopro made it easier for it to open that was what I felt right away the port door very easy to slide while the battery door hard for me..
Last edited by Fish; 10-11-2018 at 07:38 PM. Thanx Ifti, I was hopeful but I couldn't really imagine to work without a gimbal. So I guess best solution for stabil footage is using a gimbal and turn stabilization completely off. I hope audio quality with gimbal is better than 6. Some may not realize it, but the OEM gimbal (Karma) turns the camera's internal stabilization off. It's also very quiet, no motor noise issues of any note. Some or all aftermarket gimbal fans can use the camera's internal EIS in addition if desired. But for the 7 I think you'd want to turn it off and on manually for slow panning. Same with the 6 as that has some jitters /stutters in slow panning movements.